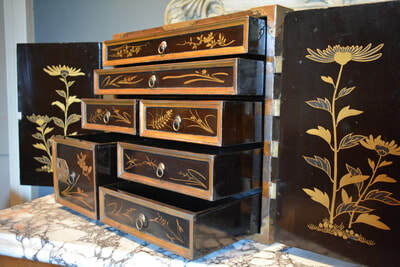 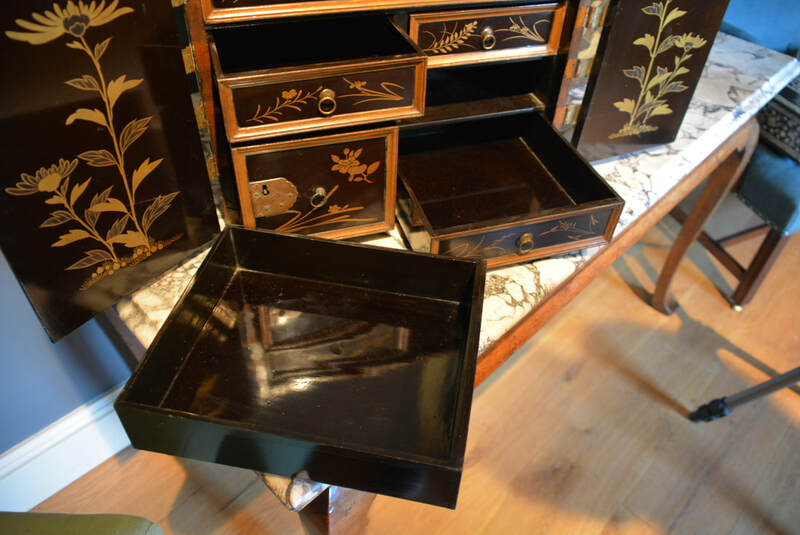 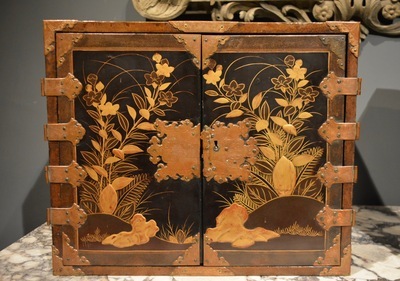 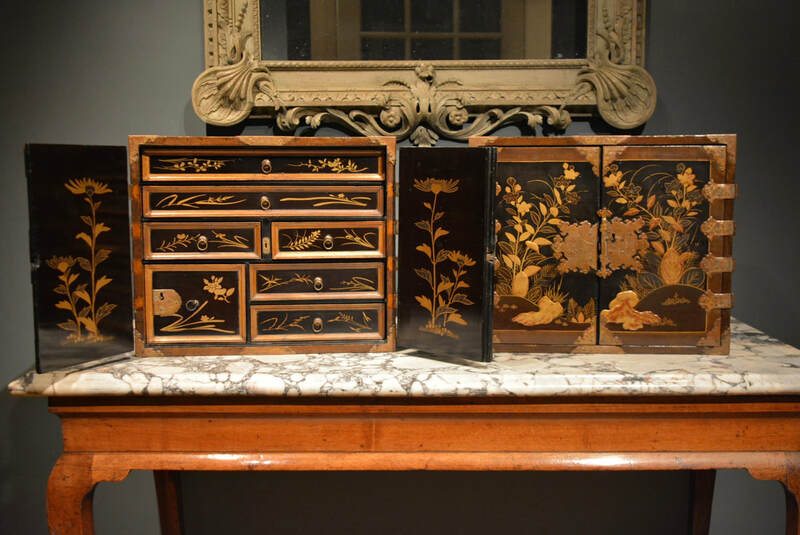 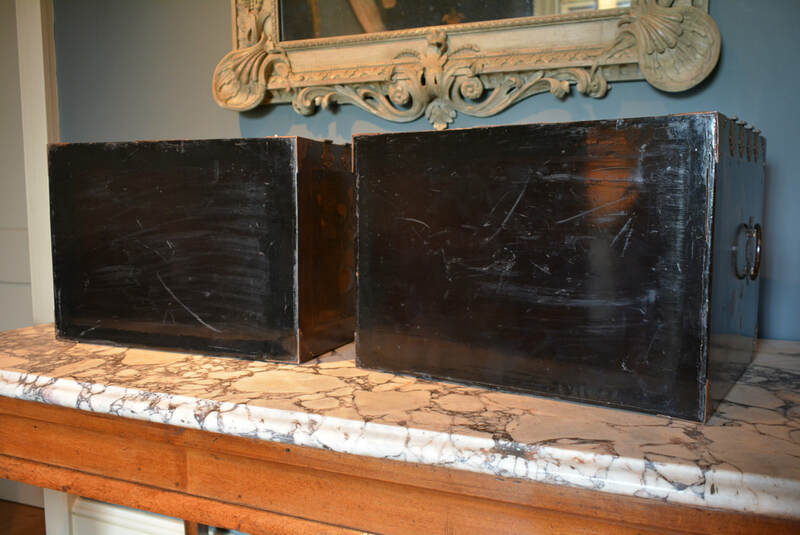 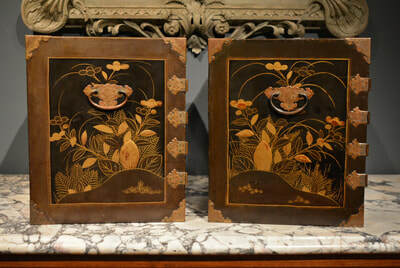 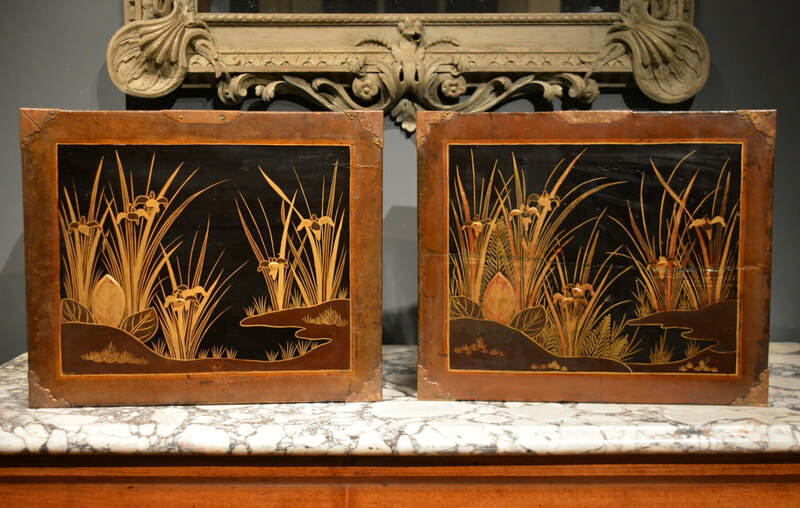 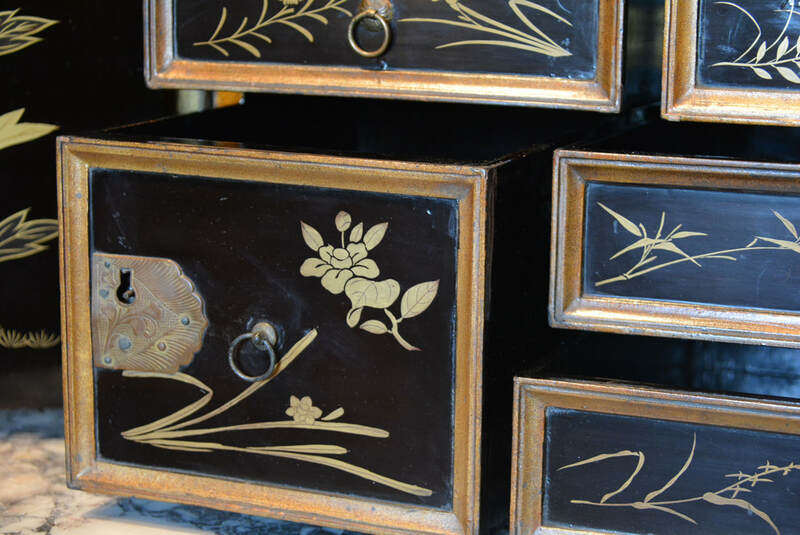 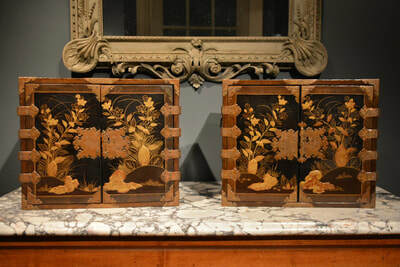 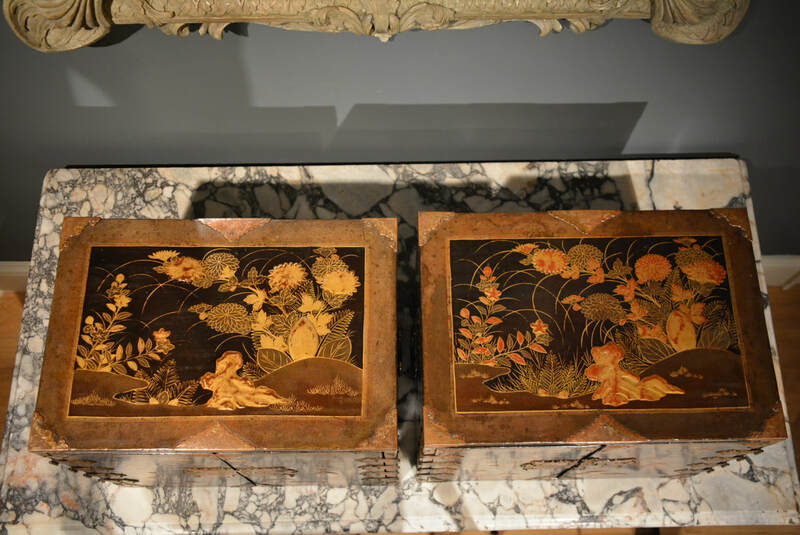 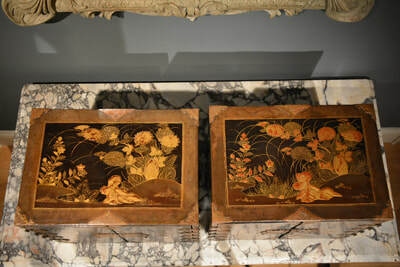 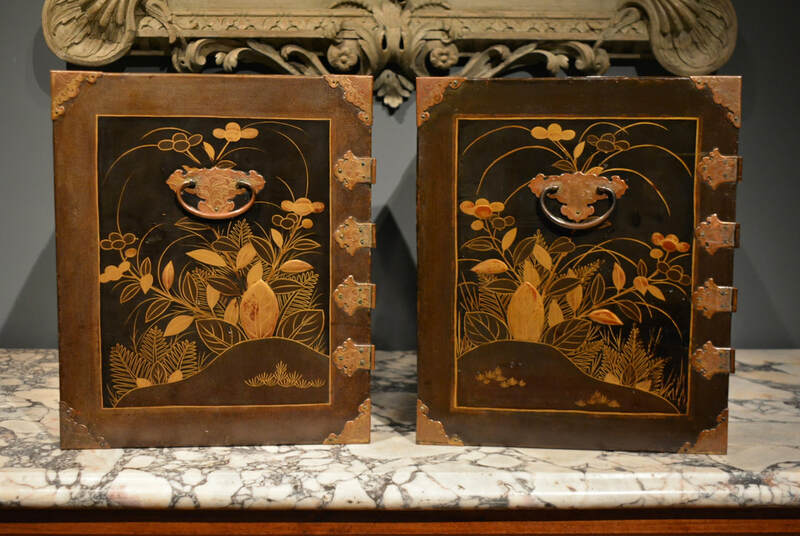 A fine pair of late 17th Century Japanese lacquer table cabinets. 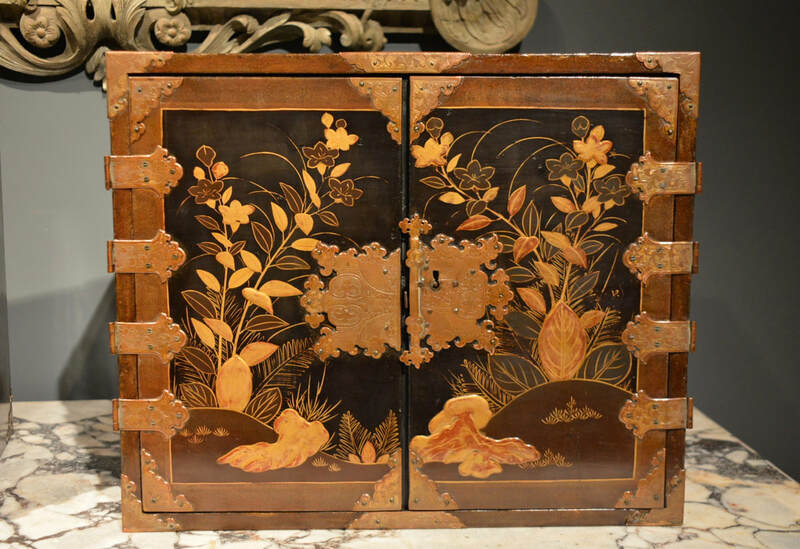 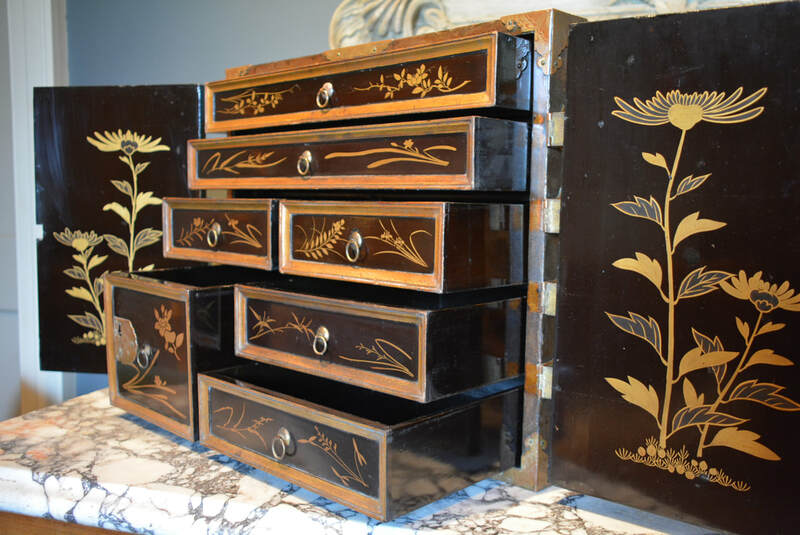 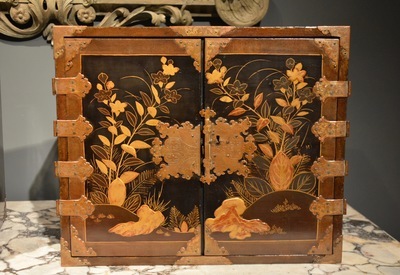 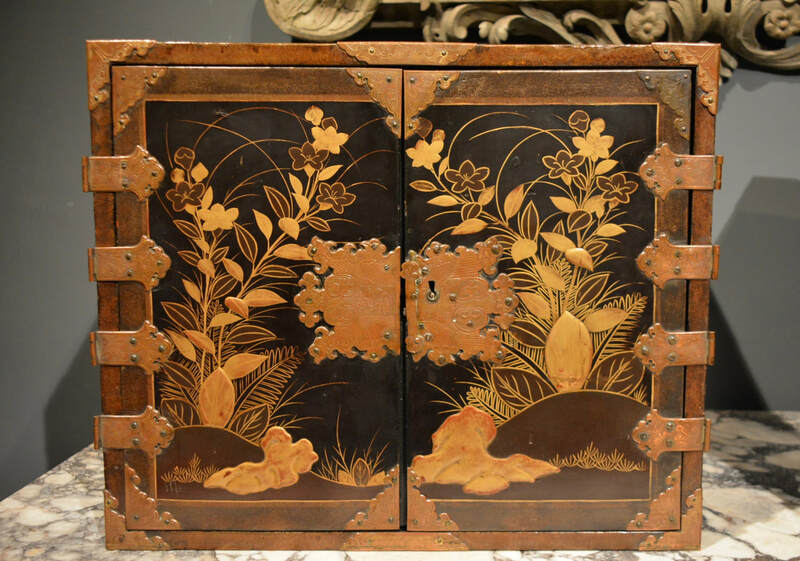 The exteriors and interiors lacquered overall with floral images, the interior of each cabinets containing six small and one large drawer. 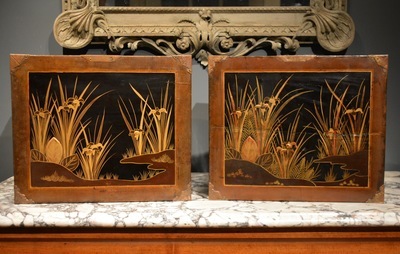 Height 15" Width 18" Depth 12.5"